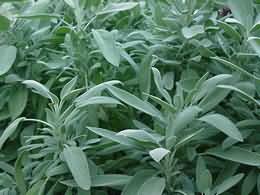 Long regarded as a powerful tonic and revitaliser of the body and mind, sage is helpful in depression, exhaustion, digestive complaints and respiratory complaints. It soothes sore throats, or as a gargle and mouthwash. It’s also reputed to help women with hot flushes, and to reduce the production of breast milk.